A much loved new product for summer 2016 were the Lancôme Juicy Shaker Lip oils, created by Lisa Eldridge. For September two new ‘delicious’ scents were launched, 201 Piece of Cake and 112 Show Me The Honey. 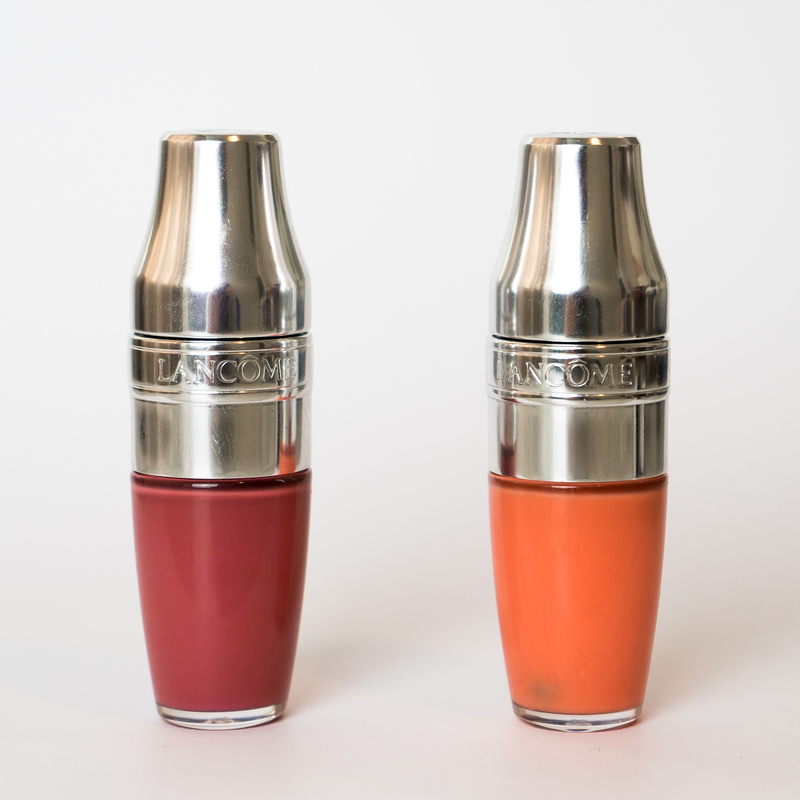 Today I will be sharing my Lancôme Juicy Shaker Review and swatches of the two latest additions to the range. The scents in the past were mostly fruit based whereas these new incomes are for those of you with a sweet tooth. Unsurprisingly these two products have the mild scent of honey and cake! Alongside the scent, they have a slightly sweet taste to them. The drink mixer novelty packaging of these lip oil cocktails is unlike anything else; you must first shake up the oil and pigment infusion. Juicy shakers include almond oil, omega 3 and cranberry oil alongside the colour. 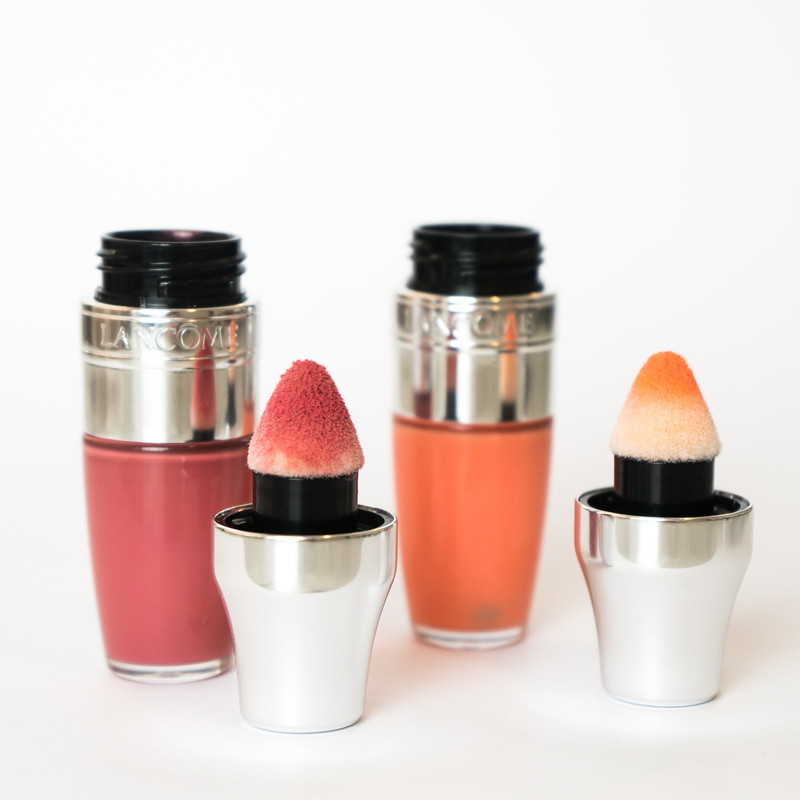 The soft cushioned applicator soaks up the product so you have enough on the applicator each time without re-dipping. The Lancôme Juicy Shaker doesn’t have a great longevity so you will be applying this many times throughout the day. 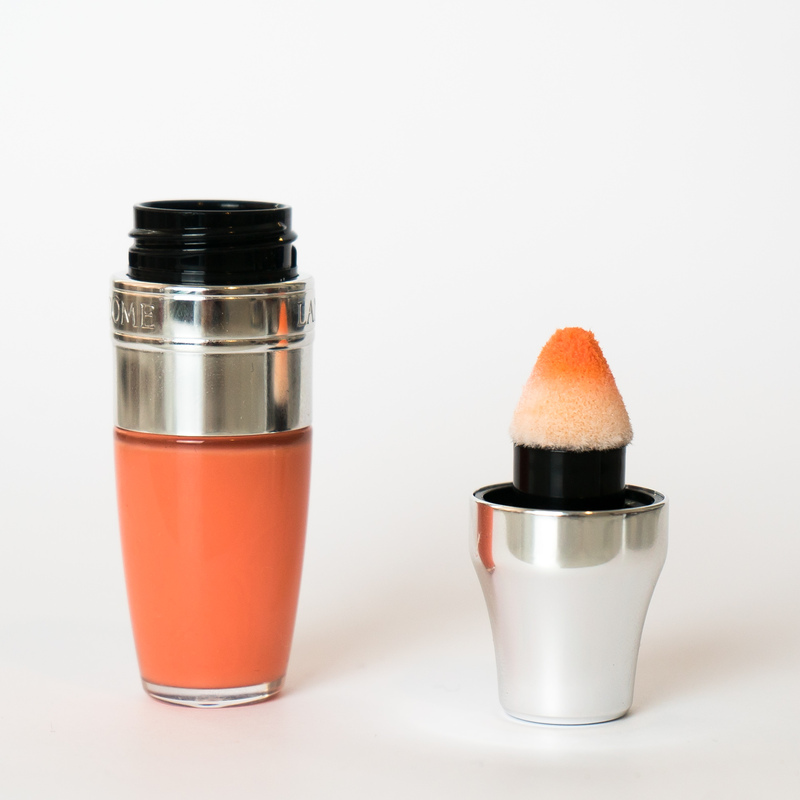 Fortunately, the sponge applicator shape makes it very easy to reapply on the go without a mirror. For me, I was initially expecting more pigment and if that is what you are after these are not the lip products for you. With the lip shades being so sheer I also wouldn’t recommend purchasing multiple shades as there isn’t much difference in tones. The colour payoff is slight only giving a sheer natural hint. Shade 201 Piece of Cake has the strongest colour to it of the two. It is an intense, raspberry tone in the bullet. The pigment does show up slightly on my lips and is my favourite of the pair. Shade 112 Show Me The Honey is an orange coral pink in the bullet but looks almost colourless on application. In the colder months, I struggle with dry and damaged lips. 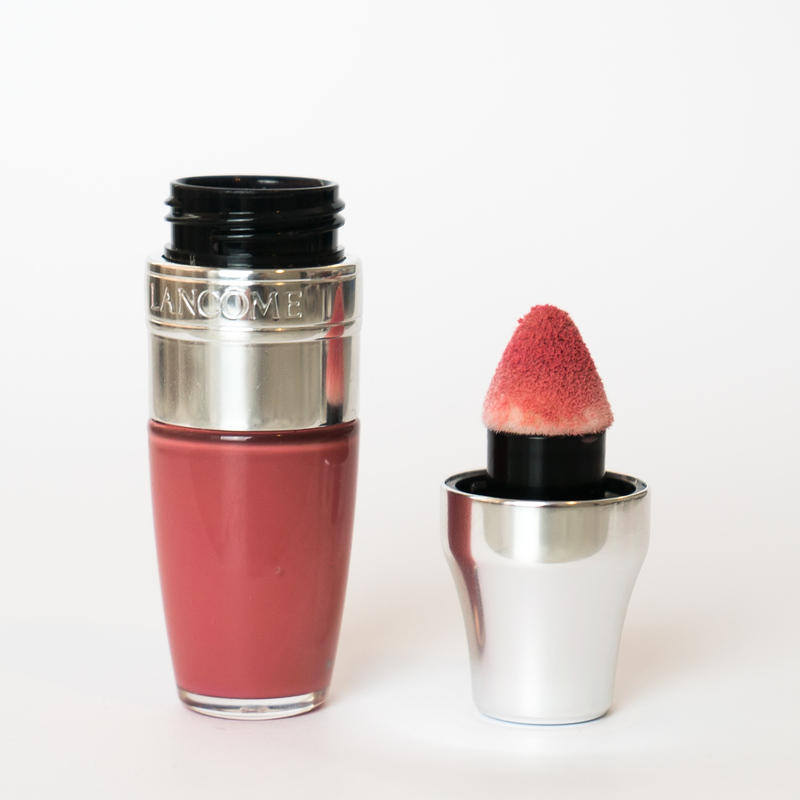 The Lancôme Juicy Shaker is a great alternative for me, more glam than a lip balm, perfect for on the go and the oil will both moisturise and protect against the elements. The lasting power is short for the reapplying will also help keep my lips healthy. I hope you have enjoyed my Lancôme Juicy Shaker Review. If you are interested in trying the Lancôme Juicy Shakers out for yourself they are available at Boots and at FeelUnique.